The local low-cost airline has launched its direct Singapore-Laos flights with a limited period promotion. The Singapore to Luang Prabang and Vientiane flights will be the first of several new destinations it will be adding to its network this year. From now till Jan 22, one-way all-in fares start from $88 at Flyscoot.com. 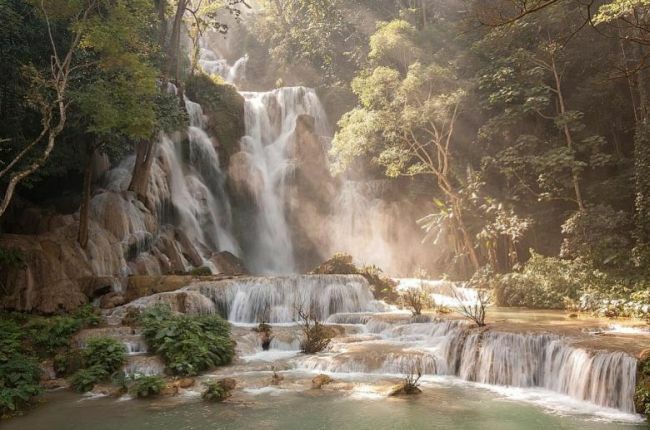 The thrice weekly flights will commence on April 1, operating a circular route that departs from Singapore for Luang Prabang, where you can visit the magnificent Kuang Si Falls, then Vientiane, before heading back to Singapore. These routes were transferred from sister airline SilkAir, making Scoot the only airline offering direct Singapore-Laos flights. The US-based hotel chain has launched the Wyndham Grand in downtown Yangon. Located next to Kandawgyi Lake, Kandawgyi Park and Yangon Zoological Gardens, the new landmark also offers scenic views of the Shwedagon Pagoda. The striking 20-storey, 291-room luxury hotel forms part of the Kantharyar Centre, a new mixed-use project comprising office spaces, serviced apartments and retail outlets. From now till Jan 31, grab its opening promotion of 30 per cent off its public room rates (from US$112++, or S$152++ in a Superior Room) for stays until June 30. Thailand's largest island will have a new social heartbeat with the recent opening of the 180-room hotel under the InterContinental Hotels Group. Inspired by fishing villages and tropical rainforest, the boutique hotel will be a gallery reflecting the town's culture and history. Lifestyle dining offerings helmed by Chef Morten Nielsen include Butcher's Garden, Pots, Pints & Tikis and No Name Bar. Its opening special package features a 25 per cent discount on room rates (from THB5,300, or S$224). Book by Jan 31 for stays until June 30. Travelodge Dongdaemun, the local hospitality investment and management company's first hotel in Seoul, Korea, is situated in the central Jung District. It is a short walk from wholesale shopping destination Dongdaemun Shopping Complex, the popular Pyounghwa Fashion Town and multi-level fashion plazas Doota, Migliore and Hello apM. It is also at the exit of Euljiro 4-ga Station and close to the Dongdaemun History & Culture Park Station. From now till Feb 28, the new 242-room Travelodge Dongdaemun's opening promotion offers 10 per cent off all room rates ($61 to $105) per night, including a breakfast buffet. Source: The New Paper © Singapore Press Holdings Limited. Reproduced with permission.